I’ve just taken a few moments to try to think of some positive passenger news that has come out of American Airlines in the past few years and I’m really struggling to come up with much. Yes, if you’re a high fare passenger things may be slightly better for you following the changes to the AAdvantage program and, if you’re so valuable to American Airlines that you’re invited into the Concierge Key program, things are probably better for you too….but that’s about it. For the overwhelming majority of American Airlines flyers things have got worse. The AAdvantage program is a shadow of its former self, Basic Economy has been introduced, award availability has never been lower and the airline is continually making the Economy Class experience less and less bearable….and that last point is what I’m going to address here. 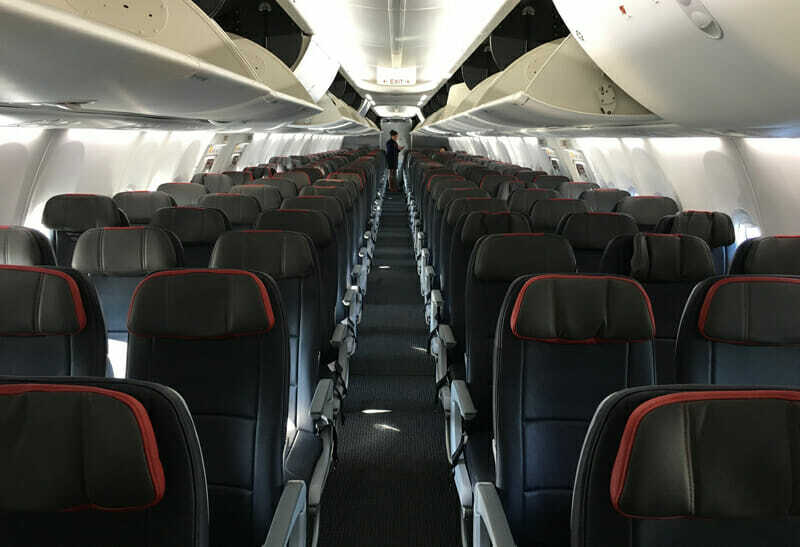 A lot of people may have been disappointed by the reduction in the number of Main Cabin Extra seats on certain American Airlines aircraft but the biggest affront to passenger comfort is the Boeing 737 MAX 8 which the airline now operates. The 737 MAX 8 is the aircraft that introduced 30″ of legroom to the American Airlines fleet and is the aircraft that one American Airlines pilot described as “the most miserable experience in the world” during a Q&A session with the airline’s leadership. “It’s the most miserable experience in the world and everybody I’ve ever talked to that had to fly on this thing… Alaska Airlines has a 737-800 as we do and has 4 lavatories. We have 3. Now you’ve added 12 more seats, no more lavatories, and you’ve shrunk that lavatory to 75% the size that it was before. I can’t turn around in it. The sink is the most miserable thing going, and you cram those people in those little tiny seats you just bragged about to the point that I can’t sit back there. As a crew member if I ever have to deadhead back there I’ll refuse because it’s just not practical. Now American Airlines has scheduled this aircraft to fly two of the longest domestic routes it operates – the 737 MAX is going to fly coast to coast. Routes Online has reported that American Airlines has just scheduled its 737 MAX Aircraft to operate on the Los Angeles – Washington DC and Los Angeles – Miami routes from later this year. This flight is scheduled to take 5 hours 11 minutes when flying east and 5 hours 46 minutes when flying west – that’s an incredibly long time to spend in a seat with just 30″ of legroom. Right now the MAX 8 is only scheduled to operate on this route through 3 October but there’s every chance that the airline will extend the service further. This flight is scheduled to take 5 hours 8 minutes when flying east and and 5 hours 35 minutes when flying west and, to compound matters, the LA – Miami flight is a redeye. As things stand the MAX 8 is only scheduled to operate on this route through 3 October but don’t be surprised if this gets extended. Is there a more uncomfortable mainline plane in which to try to get some sleep? If there is I can’t think which it could be. It’s bad enough that American Airlines is inflicting this aircraft on the flying public in the first place but scheduling it to fly on some of the airline’s longest domestic routes is just horrible. Fortunately, travelers who have some flexibility in their schedule should be able to avoid the 8 MAX with a little planning (a lot easier on the Miami route than the Washington DC route) but spare a thought for those whose plans force them to fly in this abomination of an aircraft. To sum up: Avoid the American Airlines 737 MAX 8 if you possibly can – you’ll be glad you did.